"Said Simple Simon to the pieman going to the fair, "Give me your pies... or I'll cave your head in." At least I think how the nursery rhyme goes. Anyway, my point is I love pies, and when Mrs. Cool told me there is a place that does pie afternoon tea (Pie Tea) I was all over it. The Pie & Bottle Shop is a little gem in North Shields and definitely worth a visit if you're a pie lover. 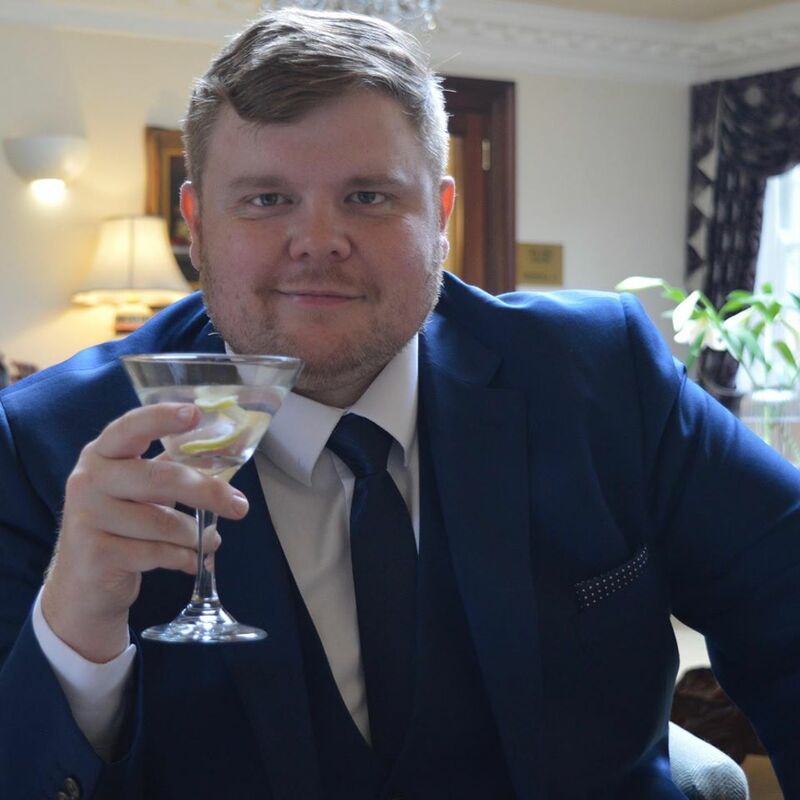 The decor is very Geordie with with photos of Newcastle United players on the walls, Geordie slang aal owa the place and pictures from around The Toon. The Pie Tea is a bargain too, for £15pp you get a lot of food so maybe wear your stretchy pants. 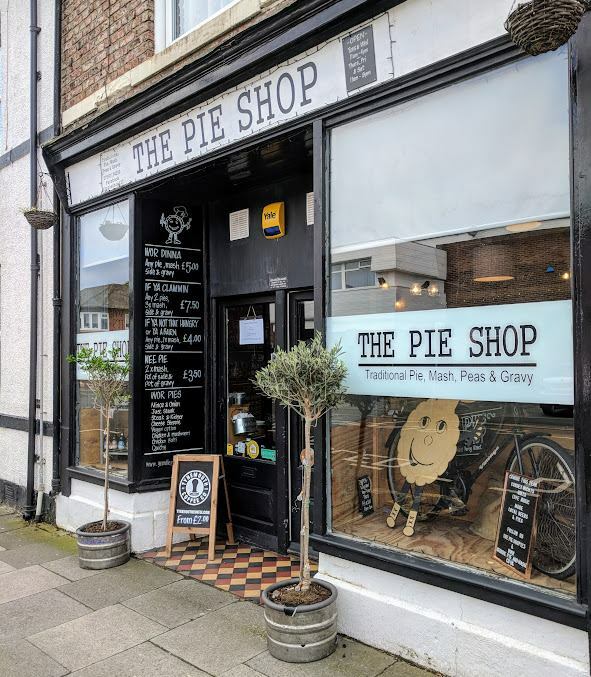 They serve Pie Tea on a weekend and you need to pre-book (they're closing to go on holiday for 2 weeks soon so get in while you can or you'll need to wait). We ordered our drinks, Coffee for me and Fentiman's Lemonade for Mrs. Cool (both included in the price of our meal), took our seats and waited for our feast to arrive. 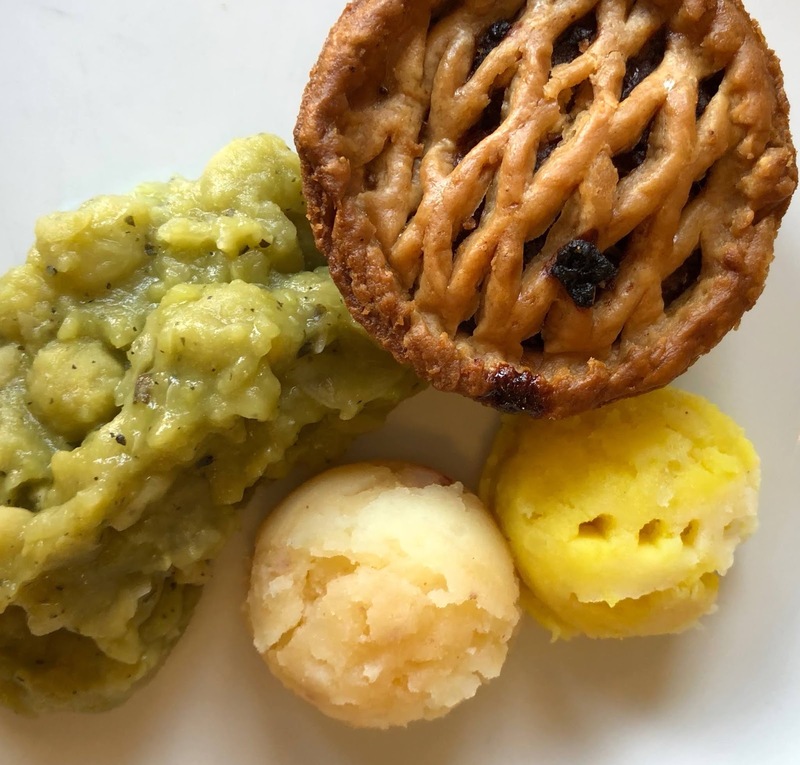 We were served three mini pies, One mince and onion, one steak and one pulled pork and pickle (the pie flavours can vary but if you have any dietary requirements let them know when you book). All three were great and all had different types of pastry, the steak pie was my favourite and the mince and onion was Mrs. Cool's (and she normally doesn't like mince pie). 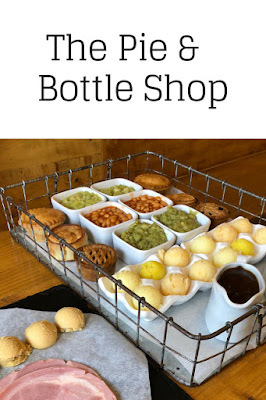 You get plenty sides too, with Mushy Peas, Minted Mushy peas, baked beans and SIX mini Mashed potatoes. We got 2 small scoops each of Mustard mash, Cheese mash and regular mash. The minted peas and mustard mash was my favourite combo with the pies. You can't have pie and mash without having something moist so you also get a jug of gravy to go with it and this was proper thick gravy (Nowt worse than thin gravy). Next was the the Ham and Pease Pudding (can you get pease pudding in other parts of the UK? I've only ever seen it in Newcastle). We had 4 different version all from Pete's Pudding, we had Original, Broon Ale, Oi! Oink! (Gammon and Leek) and Sssmokin! (Chipotle). 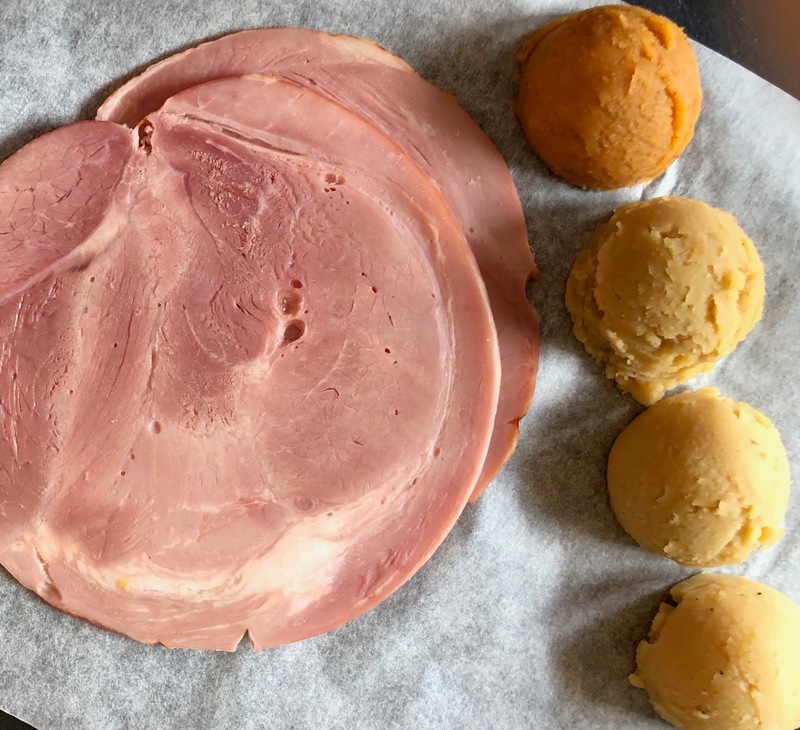 I love ham and peas pudding and I've said before that not much makes me happier than a Ham and Pease Pudding Sandwich and Pete's pudding is one of my favourites but I've never tried anything other than original. The Sssmokin! had a bit of a kick but the Broon Ale was me fave. Well, as if I wasn't stuffed enough we then had a dessert course to squeeze in too. 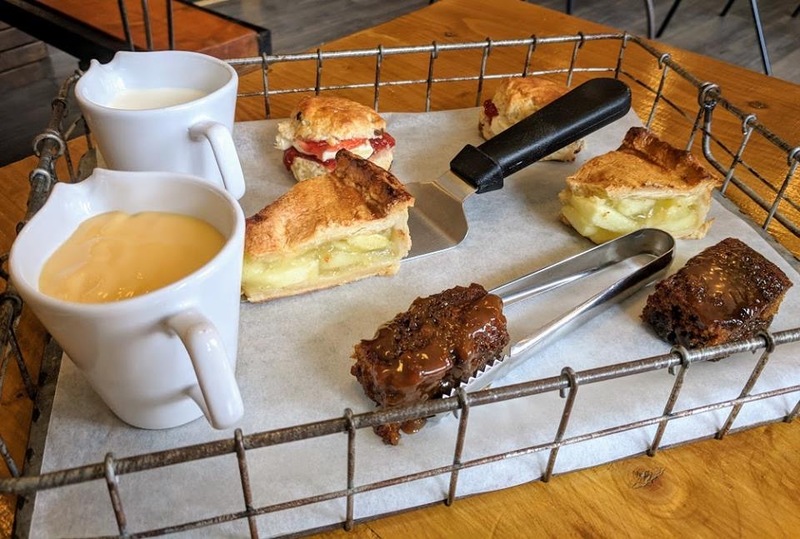 We had a clotted cream scone, sticky toffee pudding and and wedge of apple pie served with custard and cream. All were great but I did have to leave some of the apple pie and scone as I just couldn't eat anymore. I really Enjoyed Pie tea and we'll be back to try some of their other pies. The Pie & Bottle Shop also has a wide variety of local bottled beers available and next time I visit I'll get Mrs. Cool to drive so I can have a beer too. This looks awesome I can't wait to get booked in ! 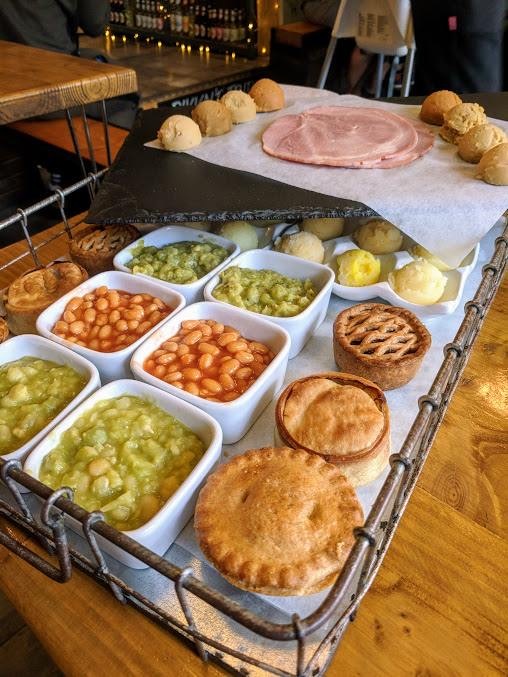 How on earth did two of you manage 6 pies, 6 sides, 6 mash, ham and pease pudding (never seen it anyway but North East) and then had some cake? Are you that bloke who always takes his shirt off in the gallowgate (NUFC Tattoo across belly)? Papa G would love this, I've sent him the link to see if he wants to do it for fathers day. OMG all that food, it looks like something out of Man vs Food ... I'd be happy to accept the challenge though, it looks amazing! Crazy that you then get sweet treats after too! I bet you had to go to sleep after all that!